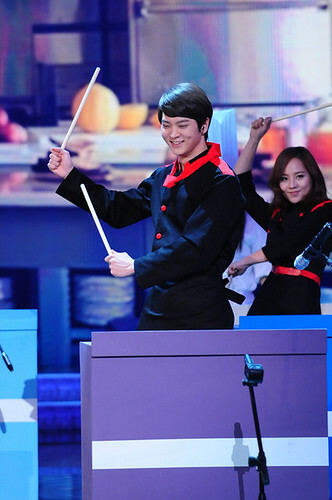 – The Angst Ma Jun from Baker, Joo Won: I thought he was still in Ma Jun’s mode until he cracked a smile! Darn you, never hide that charming smile! 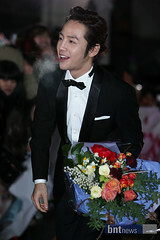 – I wonder what happened to Jang Geun Suk‘s beautiful curls? Handsome! Handsome! – Special Performance by Baker‘s main cast! Alice: To be frank, KBS is the station I look forward to the most because it had a great year with solid ratings and some of my favorite dramas! I don’t know about you guys but I did a mini dance when I saw Song Joong Ki & Yoo Ah In onstage taking their bromance (couple) award!! 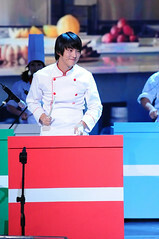 Ah In was so embarrassed while Joong Ki was enjoying himself, like always. I die from the cuteness overload, I tell ya. 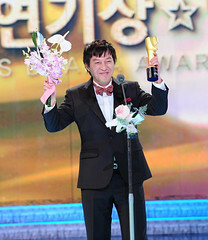 And congrats to Baker‘s Yoon Shi Yoon and Eugene!! The boy was excellent in his first lead role. 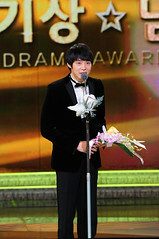 Joo Won was crying throughout his buddy’s acceptance speech. Aww, their friendship!! 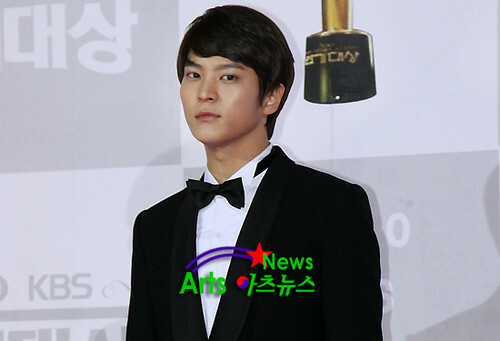 I swear they should’ve asked Joo Won to sing a song, his voice is mesmerizing. Remember? And I’m so glad that Lee Young Ah wore a light pink gown, I was tired of the washed-out colors (black&white!). Park Min Young’s light peach-colored dress is youthful and elegant, but a bit pale in pictures. 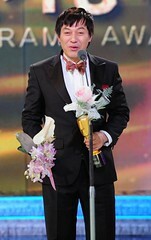 This entry was posted in Awards Show and tagged KBS Drama Awards, Mary Stayed Out All Night, Sungkyunkwan Scandal by Kappy. Bookmark the permalink. 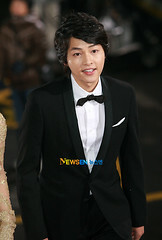 i really love song joong ki! im looking forward for another year of excellent and heart warming dramas! 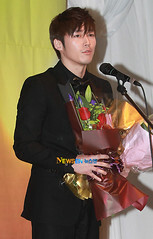 OMG Janghyuk is my very first Korean crush since 2003. 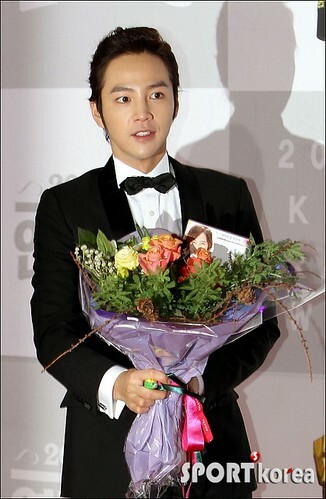 Perhaps you could upload video during kbs drama award 2010 coz i missed the event on tv last time…. please ALICE subbed it all, not just cuts.. thank you so much!!! 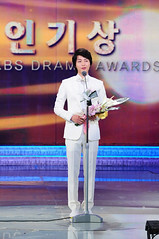 hi do you already have the kbs drama awards with eng subs? ive been waiting for this.. tnx a lot.